When India won the World Cup in 1983, Indian Cricket board didn’t have enough money to pay every cricketer at least a lakh rupee each. Lata Mangeshkar had to do a charity concert and the money was then distributed among the winning members. This happened almost 32 years ago. The ecstasy of cricketing rhythm has been an Indian cricket aficionado’s biggest dose of entertainment for decades. Cricket has been adapted, imitated and practiced in India from 18th century and there have been enough instances when cricket managed to overshadow the local Indian interventions. One such instance has been the fight for space to play the English sport- cricket, on Bombay Gymkhana Maidan by native Parsis against Englishmen trying to play Polo- a game with Indian origin. This late nineteenth century incident clearly shows the love and affection that the game of cricket has received in India, a country ruled by its inventors for long. Understanding that audience and the opportunity encrypted in their madness and fervor for cricket was a task, overlooked for decades until a Marwari from Bengal decided to have his own way to revolutionize the commercial acceptance of cricket as a game. Jagmohan Dalmiya indited a history that brought Indian cricket from that embarrassment after 1983 world cup win to being one of the richest sports body in the world. That characteristic of him made him players’ man and what better complement can an administrator receive? His stature as a cricket administrator allowed him to play a major role in hosting the 1987 World Cup in Indian subcontinent. It was the first time when world cup was organized outside England. Similarly he himself lobbied for the return of South African cricket at the international circuit in 1991 after a ban. One of his most distinguished contributions to Indian cricket has been his victory against Doordarshan in Supreme Court over the television rights for cricket in India. This victory opened the market for cricket and Doordarshan was asked to pay to win the television rights. This brought in more revenues for BCCI and hence strengthened its position in international marketplace. In 1997, when he was selected the president of ICC his role was instrumental in giving Bangladesh the test status. As an administrator he was clever as well as honest enough to ensure a smooth future for cricket in India as well as International circuit. In 2001, when he was finally elected the president of BCCI, his relationship with then Indian captain Saurav Ganguly proved to be a strong force behind the rise of Indian cricket. Both of them belonged to Kolkata and shared an amazing bond. That instilled the fearless approach inside Ganguly for which he still is known. His demise certainly has created a void in the Indian cricketing circuit that will take time to fill. 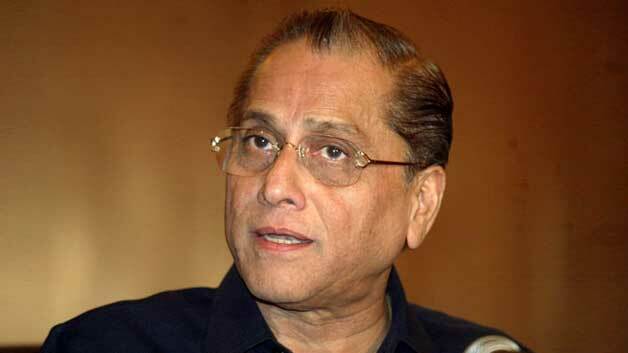 Let’s hope for a future of Indian cricket laid down with the vision of Jagmohan Dalmiya.